Join the CPAC team from Montreal as federal New Democrats hold their biennial convention in advance of the 2015 election. Heritage Minister James Moore tells Peter Van Dusen that if his party's convention featured American conservative or Australian conservative speakers, they would be accused of having no ideas -- but same thing happening at the NDP convention. Great @CPAC_TV interview by @hollyanndoan of #ptbo #NDP13 delegate re: caucus dominating policy debate at #mtlqc13 - let the members speak! Here's Judy Rebick on the New Politics Initiative, which was defeated at the 2001 NDP convention. The New Politics Initiative (NPI) emerged as a major issue at the party's convention in Winnipeg. The NPI sought to link the traditional NDP with newer social and environmental movements protesting globalization. Delegates defeated the proposal 684 to 401. Some very great points being made. While having socialist roots, the economy is still very close to NDP policy, especially for one that is now the Government-in-waiting. BE IT FURTHER RESOLVED THAT the New Democratic Party of Canada reaffirm its commitment to ending violence against First Nations, Inuit and Métis women by committing to action, including addressing root causes and systemic inequalities. BE IT RESOLVED THAT the New Democratic Party of Canada condemns the Conservative cuts to the Interim Federal Health Program and the impact that it has had on the health of those seeking refugee protection in Canada. BE IT FURTHER RESOLVED THAT the New Democratic Party of Canada will work to restore temporary health benefits to all refugees making asylum claims in Canada. IL EST ÉGALEMENT RÉSOLU QUE le Nouveau Parti démocratique du Canada s’efforce de rétablir les prestations de maladie en faveur de tous les réfugiés et demandeurs d’asile du Canada. Weisleder said he was one of about 100 delegates on the floor booing and expressing displeasure about the appearance by Jeremy Bird, a key Barack Obama organizer for re-election, given his links to the Democratic party and the U.S. government's drone policies. According to Weisleder, Rotman pointed at him and said his delegate badge was being lifted. Weisleder asked why as they left the floor together, and alleges he was told he had shown disrespect to a guest speaker. Weisleder says he told Rotman he didn't have the authority to revoke credentials, telling CPAC's Martin Stringer "booing and applauding are common responses" at political conventions. "I wasn't threatening anyone's ability to hear (Bird)," Weisleder said, adding he received no warning. Weisleder linked the exchange to tomorrow's highly-anticipated debate on the NDP's constitutional preamble -- and the fact that a candidate for party treasurer backed by the Socialist Caucus received 28-per-cent support earlier today. As for tomorrow, Weisleder told CPAC he'll make every effort to attend the convention. If he's not permitted in the room or to speak at a microphone, there will be a challenge. 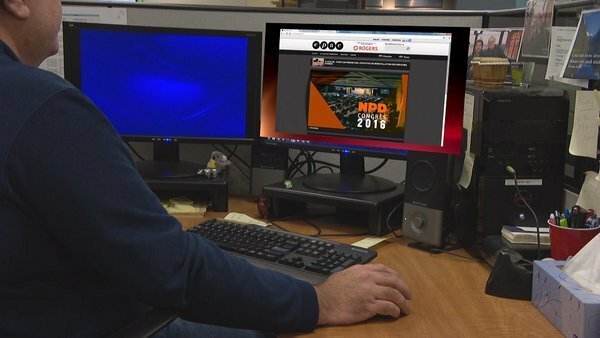 Ceci met un terme à la couverture en direct en ligne du deuxième jour du Congrès du NPD. Joignez-vous à nous demain matin à compter de 8 h 30 HE / 5 h 30 HP environ pour la journée finale. Les délégués débattront la résolution controversée visant à modifier le préambule sur la constitution. Nous vous remercions de votre écoute! That's the end of our live online coverage from day two of the NDP Convention. Join us tomorrow morning at approx. 8:30am ET / 5:30am PT for the final day as delegates debate the controversial resolution to change the constitutional preamble. Thanks for watching and participating! Asked about the Liberals and Trudeau, Mulcair says NDP will form the next government in 2015 and run in all 338 ridings - "The way we're going to do it is to reach beyond our traditional base." Mulcair: doing groundwork in the "905" region and reaching out to cultural communities and those who share NDP values. This concludes our live online coverage of the 2013 NDP convention. Come back this afternoon (3:30pm ET / 12:30pm PT) for on-air and online coverage of the Liberal leadership announcement in Ottawa. Thanks for watching and taking part! 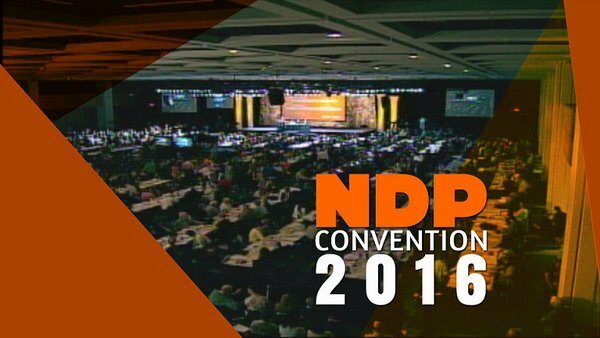 Our live coverage of the #NDP2016 Policy Convention kicks off in 1 hour at cpac.ca/en/ndp-convent… and on the CPAC TV 2 GO app. Notre couverture en direct du congrès d’orient. 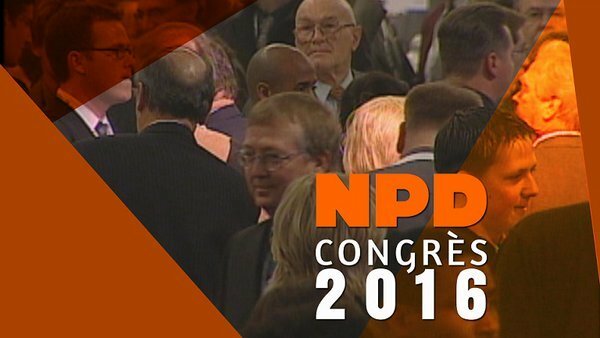 du #NDP2016 débute dans 1 heure à cpac.ca/en/ndp-convent… et dans l’app. Télé CPAC Partout. ON NOW - The NDP: A Party at the Crossroads, which looks at the 80-year history of the NDP. On TV, cpac.ca & the CPAC app.